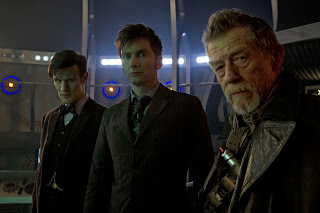 Check in and check out these Doctors. 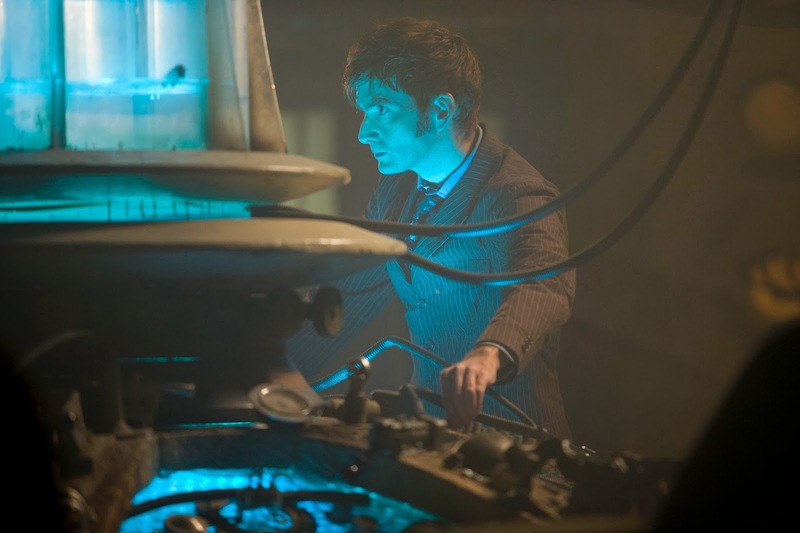 The BBC America has released the very first images from the "Doctor Who" 50th Anniversary episode "The Day of the Doctor," premiering Saturday, November 23. 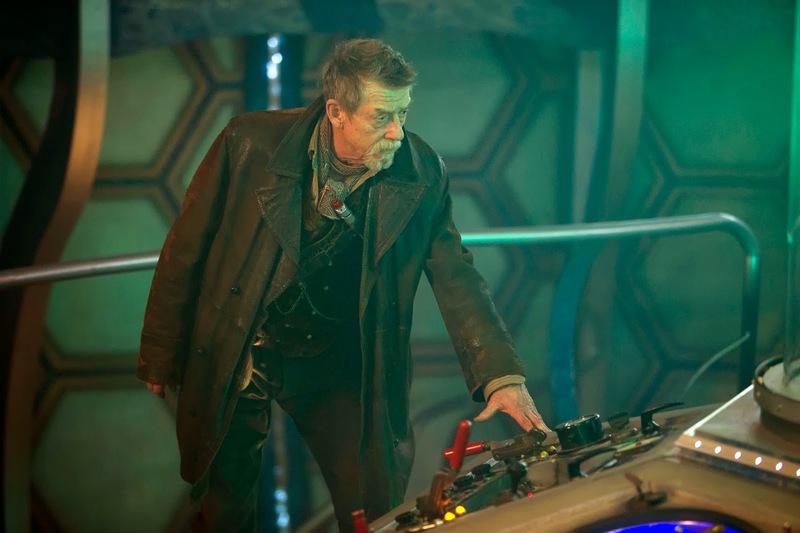 The special will be feature length with 75 minutes of adventure, starring Matt Smith, David Tennant, Jenna Coleman with Billie Piper and John Hurt. 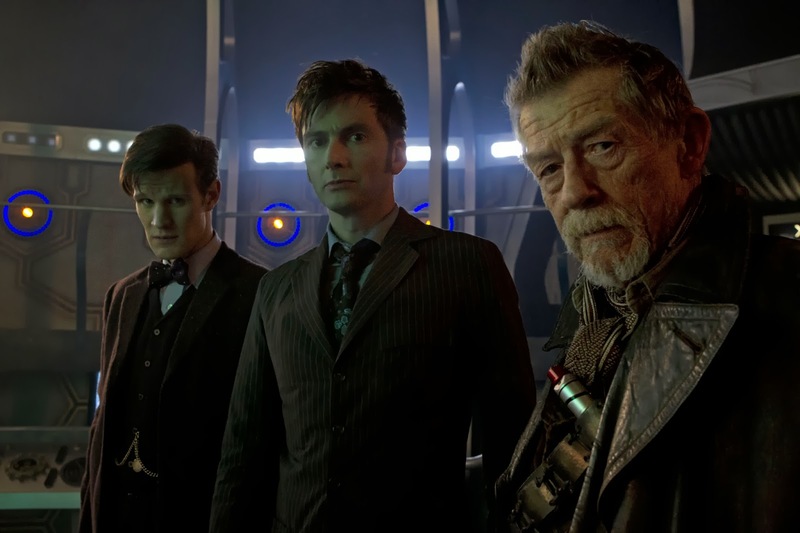 In the main pic, we of course see Eleventh, Twelfth and the "other" Doctor Hurt. 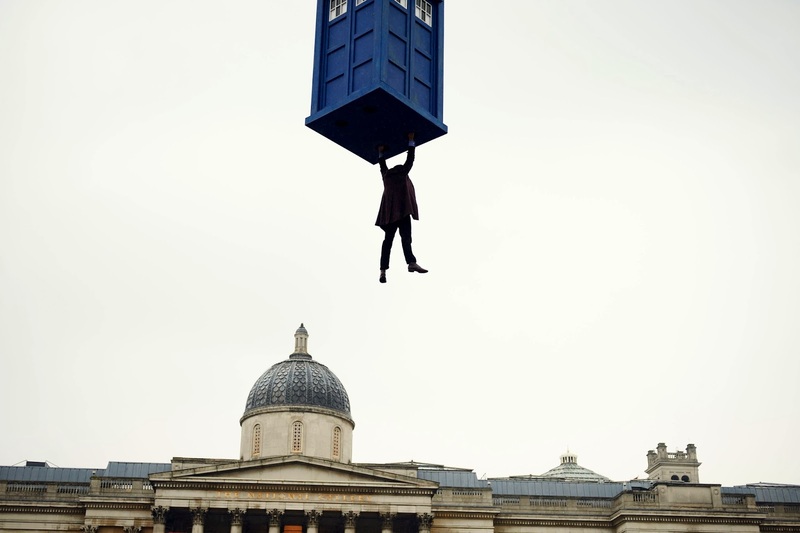 So this means they do get some hang time in the TARDIS all together. Speaking of hangin, check out the rest of the pics after the jump to see a Doctor hanging from a flying TARDIS, along with a Companion being kept company and some TARDIS control panel shots. Of course, the long-running series will be broadcast simultaneously to millions of viewers worldwide in a global simulcast and BBC AMERICA will soon announce details of select 3D screenings of the anniversary episode in theatres in the U.S.